For me, this week has been Viola Davis week. It started on Sunday when I cried tears of joy about her Emmy win. Then it is has continued throughout the week by me watching episodes of How To Get Away with Murder on Netflix. Once I have some free time, it will end with me watching the latest episode of HTGAWM. During this Viola Davis week, not only I was able to re-watch the Viola’s award winning episodes, but I was also able to see how Viola Davis’ hair has an interesting role in How to Get Away with Murder. In the television show, we’ve seen Viola’s natural hair, a short, tapered wig, and a curled cut that perfectly frames Viola’s face. Throughout the show, Viola’s changing her hair is completely under her control. When she feels emotionally taxed by her philandering husband or the pressures of being a top defense attorney, she removes her makeup and her hair. She is natural in every way and still beautiful and powerful. Toward the second half of the season, Viola’s character has a different hairstyle. Despite changing her hair three times, none of the characters comment on it. The absence of commentary of Viola’s hair is perfect. Everyone is trying to figure out who killed Lila while still trying to pass law school! No one has time to comment on Annalise’s hair or makeup. Some of you might be wondering why in the world did I choose to write about no one talking about Annalise’s hair in How to Get Away with Murder. While re-watching the first season, I realized that the way her hair is handled in the television show is the same way that Black hair should be handled in real life. People are often too fixated on a woman’s appearance rather than the brilliance that’s occurring in her mind. If a woman wore a low-cut dress while accepting the Nobel Prize for curing cancer, then a dozen reports would be about her outfit and not her award winning work. Second, people who don’t understand Black hair are quick to make commentary about it. They want to touch your fro, pick through your tracks, and mess up your new fade. At the workplace, people want to give strange looks when you have a different style or try to say that the natural hair, which you have, is unprofessional. However, in How to Get Away with Murder, the microaggressions and politics of hair aren’t the automatic focal point for the award wining show starring a Black woman. Instead, the viewers are granted the chance to enter all accepts of the television show’s universe. In queen Shonda’s show, we have characters from diverse racial backgrounds, educational levels, body shapes, and gender identity. 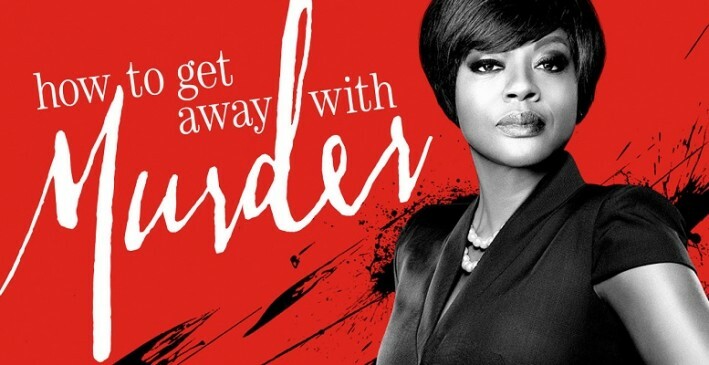 How to Get Away with Murder is a playground for inclusivity. Commenting on hair isn’t on the list of priorities for Annalise and her band of law students. The show presents another idea of hair. Hair is hair. It comes and goes like the evidence against your cheating husband.